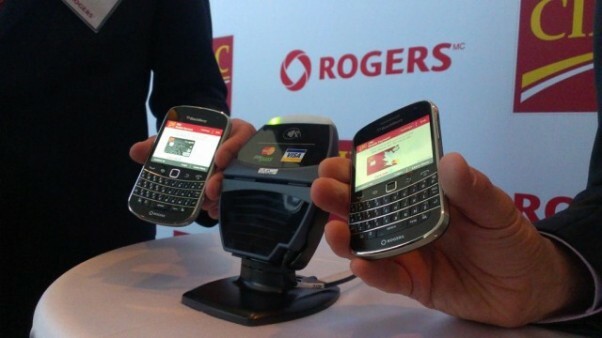 The Canadian Imperial Bank of Commerce (CIBC) and mobile operator Rogers Communications are partnering to launch Canada’s first joint mobile payment solution, allowing Canadians to pay with their CIBC credit card at the point-of-sale using NFC-enabled smart phones. The mobile wallet solution is expected to launch later this year, and will be available at merchants across Canada where contactless credit card payments are accepted. The solution, which resides on the SIM card inside an NFC-enabled Rogers smart phone, aligns with the guidelines announced yesterday by the Canadian Bankers Association for mobile payments in Canada, as well as those developed by the GSM Association. The mobile wallet solution will give users full access to their existing CIBC Visa or MasterCard credit cards on their smart phone, allowing them to earn loyalty points on purchases as they do today. The wallet will also be protected by multiple layers of security, including secure encryption technology and password protection in addition to the same fraud protection offered on CIBC contactless credit cards. The solution will be available on BlackBerry smart phones on the Rogers network at launch, with additional devices to follow.